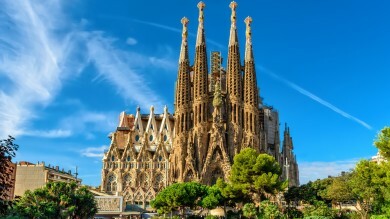 Spain — a land of sun, sand, sea and siestas! While many of us head straight for the well-known coastal resorts or the vibrant major cities, the lesser-known Spanish interior holds a lifetime of places to explore. With picturesque countryside, impressive towns and villages, fantastic food and a way of life which is far slower and more relaxed than the hustle and bustle of the coast, Spain has so much to see and explore. A road trip through Spain is an ideal way to experience both sides of this captivating country, and below we’ve listed five of the best road trips in Spain (listed in no particular order) to give you some inspiration. Our first trip is a big one! 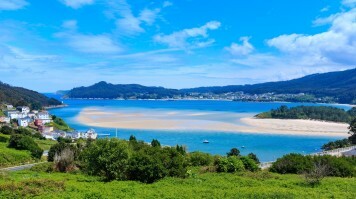 Traversing the northern regions of Spain from the Basque country to Galicia, on this road trip you’ll drive through lush countryside and visit picturesque Spanish villages, along with larger towns such as Santander with its attractive seaside setting and Oviedo with its medieval town centre. Driving this route is a real adventure, taking you into the heart of Northern Spain, an area renowned for its culinary offerings and rich heritage. Recommendation: Do not miss out on Campo de San Francisco, the main park in Oviedo. The picturesque park features ponds, fountains, lush gardens and many monuments. Start and finish: From Bilbao to Baamonde, or vice versa. Duration: Allow a couple of weeks to explore these regions, though there is so much to see you may wish to extend your stay even longer! Best time to go: Try making this trip in the autumn (late September to October), or spring (April to May) when the crowds have gone, but the weather is still magnificent! 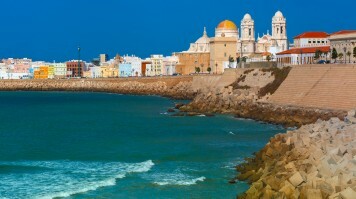 This route of ‘white villages’ is an exploration of what gives this area, the provinces of Cádiz and Malaga, its name. Pass through dozens of picturesque villages painted in the iconic white of this region of southern Spain. Explore and savour each, as they all have their own unique charm. Recommendation: Located 100 km from the city of Malaga, Ronda is one of the white villages that should be a part of this road trip. Puente Nuevo, the iconic bridge and Plaza de Toros (the bullring) are some of the highlights of this village. Start and finish: Seville to Vejer. Although there are many possible routes depending upon your time and interest in seeing other parts of the region, this route gives the flexibility of devising your own itinerary. Duration: This route could simply be a day’s travel between two points in the region, or you could spend a week exploring the villages between Seville and the coast, taking in the most well-known and the largest of the ‘white villages’ such as Olvera and Ubrique. Best time to go: Summer (July and August), although hot, provides the most attractive conditions for viewing the white-washed houses, when the bright, blue sky contrasts impressively with the stark whiteness of the architecture. In addition, you are not far from the sea and the chance for a refreshing swim! This is the Spanish equivalent of the American Route 66. Its designation being the A-66 or AP-66, it is Spain’s second longest motorway, following the course of an ancient Roman road constructed between Merida (Extremadura) and Astorga (León). 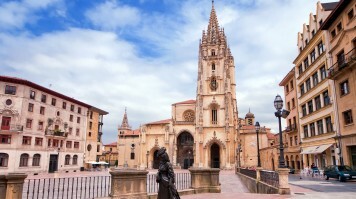 The route now joins Seville to Gijón, and driving it gives a wonderful overview of Spain’s western region. Recommendation: Be sure to visit Salamanca, famed for its sandstone architecture, and the UNESCO world heritage site of Cáceres with its impressive medieval walled centre. Start and finish: Seville to Gijón, or vice-versa. Duration: You will need at least a week if you plan to stop and explore the route. Aim on travelling around 100 km per day, and be flexible about your accommodation type or budget, if you want to see the highlights of this route, and immerse yourself in Spanish culture. Best time to go: Driving in the height of the Spanish summer can be uncomfortable. 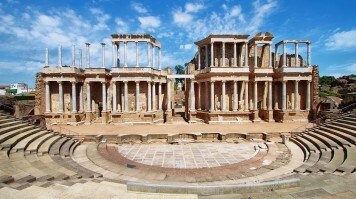 Make this trip during late spring (April and May) or early autumn (October to early November) to experience Western Spain away from the crowds. If you have less time in Spain but still want to make a memorable road trip, then a drive through the Jerte Valley is a must. 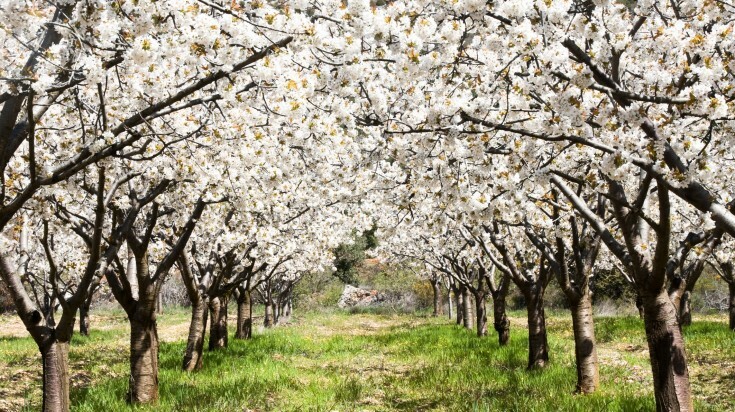 On the border of the province of Ávila, south of Salamanca, this picturesque landscape comes alive in the spring time when the villages of Cabezuela de la Sierra and Navaconcejo attract hordes of visitors to see the spectacular displays of cherry blossoms. If you only make one Spanish road trip then this should be it! Recommendation: Although this drive could easily be accomplished in a day, we suggest spending the night en-route to see the wonderful sunrise and the blossom in the morning sun. Start and finish: From the town of Plasencia to the town of Tornavacas. Duration: A day, or take your time and stay the night in one of the villages which all offer a variety of accommodation options. Best time to go: Take this trip in Spring (mid-April) to see the cherry blossom at its best. If you’ve read the novel Don Quixote by Miguel de Cervantes you’ll remember the confusion which the protagonist makes between the windmills which line this route and giants! 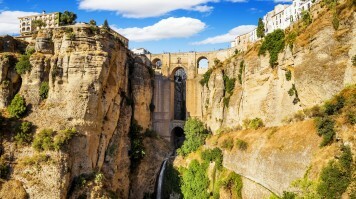 It’s the mention of them in the novel, as well as the picturesque countryside, which makes this route through the province of Toledo so popular. 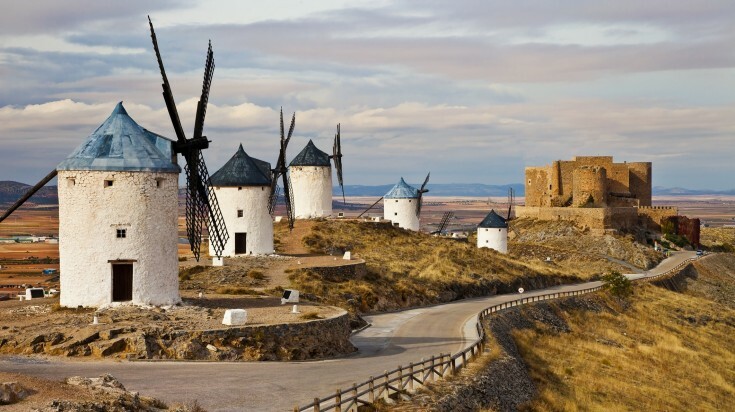 Highlights include the windmills, which are unique to this part of Spain, along with wide open plains, stunning landscapes, and the city of Toledo itself. You’ll also find a variety of interesting museums and sights associated with the novel. Recommendation: Alcazar, standing on the highest point of Toledo is worth a visit for its rich history, astounding architecture, and the vast military ornaments on exhibition. Start and finish: While there are several guides to this literary route, we recommend travelling from the town of Orgaz to the town of Madridejos, south of Toledo. Distance: Around 80 km, though allow time for detours to other sights of interest. Duration: This trip can easily be accomplished in a weekend, but with lots to see you may want to base yourself in the area and travel short distances each day completing the route by visiting as much as possible. Best time to go: The interior of Spain can be cooler than the more well-known coastal regions, making this an ideal trip in the hot summer months (July and August) when the mountain regions are cooler. Transport: Spanish roads are of good quality, and you should find no trouble in navigating the routes, so long as you have up to date maps and guides along with you. Many travellers will opt to hire a car, and these are readily available in all major cities and at airports. 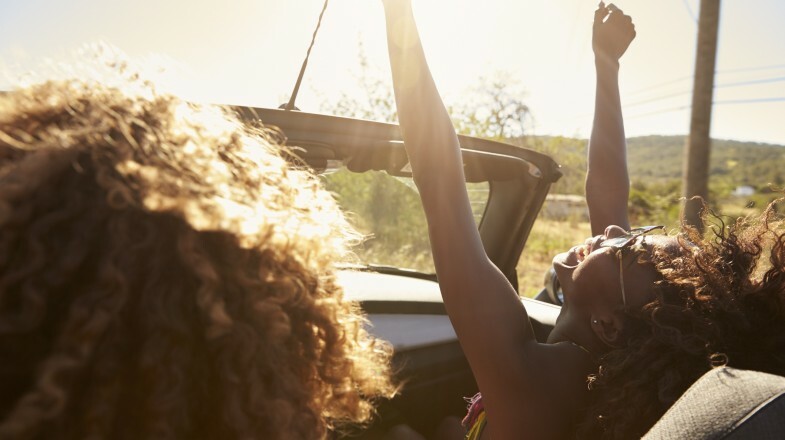 If you’re considering a Spanish road trip be sure that you are confident driving in another country, and hire a suitable vehicle, designed for travelling long distances. 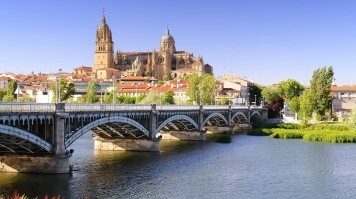 Food & accommodation: Spain is famous for its food and wine. 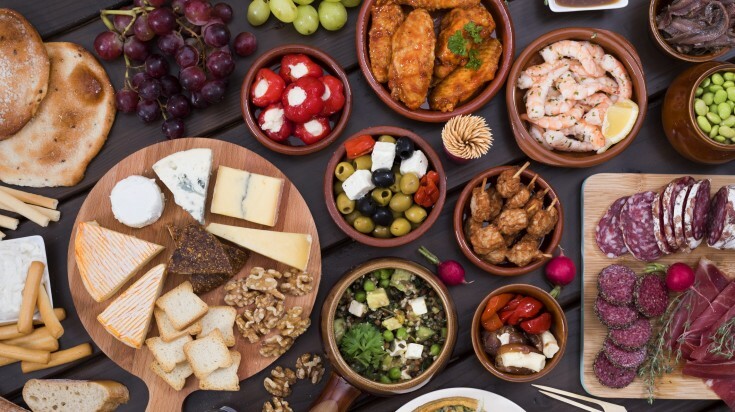 We suggest sampling iconic dishes such as paella, as well as regional specialities, and the relaxed and informal art of tapas. With the freedom of a car you can stay in a different place each night, from 5-star luxury to simple guest houses and hostels. Whatever your budget you’ll find a place to stay, but in high season remember that accommodation in the most popular areas is often booked up, so be sure to plan ahead, and reserve your bed before arrival. Stay connected: Spain is well served by mobile coverage, but like any country it suffers signal blackouts in more rural and mountainous areas. Never rely solely on your mobile phone for communication, and be sure to let others know where you intend to travel. What to pack: If travelling in the warmer months you’ll need plenty of water to see you between stops along the routes. Up to date maps and travel guides are essential, and if you’re planning to drive away from the more popular areas then a supply of food and a basic first aid kit are a must. Sun lotion and mosquito repellent are also essentials, as is a hat and sunglasses when walking or exploring the countryside. Other considerations: If you’re planning an extended road trip, or perhaps taking your own camper van to Spain, then a knowledge of vehicle mechanics is essential, as well as carrying a basic repair kit and spare tire. Remember that in more rural areas it is not guaranteed that English will be spoken, so learning a few Spanish phrases will be to your advantage when meeting local people. We’ve listed five of the best driving tours in Spain but there are endless possibilities for adventure on the open road. Whether you’re looking for lush open spaces, cultural experiences, or a little of both, Spain has it all, and a road trip through this incredible country is the best way to see it!